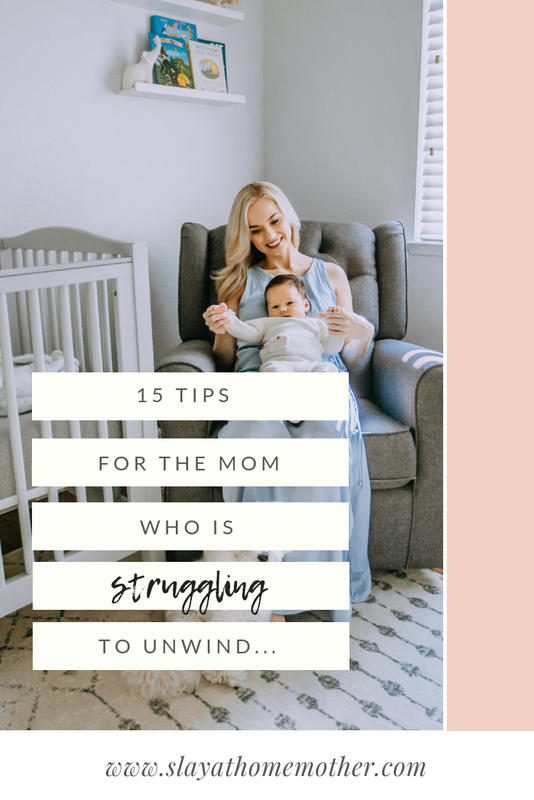 Trying to unwind as a mom can be tough – especially when you factor in nap time, sleep training, potty training, 3rd grade math homework, getting dinner on the table, and making time for everyone else. It can be hard to even get two minutes to yourself behind a closed bathroom door, but it’s absolutely necessary to learn how to relax, de-stress, and unwind after these long days of childrearing. I know there are days when I struggle, when I don’t feel up to the challenge of teaching common core math strategies (thank you 3rd grade), or waking up before the kids do so I can fold that staggering pile of laundry that we’ve been accumulating over the last 4 days. But I’ve found that taking the time to practice a little self care goes a long way, even if I just focus my attention on doing one of these things a day. We busy moms don’t have time to do everything on this list, but I’m hoping this helps the mamas that push and do #allthethings and desperately need a break from their chaotic schedules. I feature a lot of different yoga poses on my blog, and it’s something I use to relax every day. Meditation used to seem like kind of a joke to a lot of people. Closing your eyes and breathing in and out sounds too good to be true…but it really does help! Close your eyes, inhale for 5 seconds, and exhale for 8 long seconds. Try to relax and let go of the things that are eating away at you. Soak in a hot bath to reduce stress and unwind. Adding essential oils like lavender or lemon/orange to your bath water can help take your de-stressing game to another level. This one is a tough one for me, because social media is where I get all of my business, support, inspiration, and a great deal of encouragement from all of my wonderful readers and followers. I once read that social media affects the brain in the same way a hug does – by increasing dopamine, which creates this rush of excitement and happiness. Social media is also linked to higher anxiety and depression rates, unfortunately. Sometimes, the best way to recenter and recharge those batteries that are running your beautiful and oh-so-unique brain is to unplug and put your phone/lap top/tablet/whatever else down. This can be painting your toe nails, doing a peel mask for your pores, or adding several sweaters to your online cart because mama gets cold in the winter time too ;). Whatever it is, do something just for you. Self-care is all about caring for your mental health, so take the time to take care of you. Getting fresh air when you are a mom can be kind of difficult, unless you are willing to take the kids with you to the park, or on a walk. But taking in nature with your kids can be a wonderful experience, and one that your kids will love. They may not want to admit it, but the fresh air and grass beneath their soles helps recharge their soul and boosts their mood. Easier said than done, I hear you! Moms don’t always have the luxury of getting extra sleep, but sometimes that’s all your brain needs to unwind and get back to doing #allthethings. I hate to be the one to tell you to ‘sleep when the baby sleeps’, but choose one time when your children are out with dad (arrange ahead of time), or when your little one is napping to take a quick cat nap. This one comes from me, and it really works. Washing your face is part of self-care, and is a way to start and end your day feeling fresh. Laughter is the best medicine, and finding a great comedy show on Netflix or Hulu can be a great way to unwind and forget about the stresses or obligations you encountered today. This is one of my favorite ways to unwind after a long day. I first got the idea from Jax’s speech and OT classes, where they use a weighted blanket or vest to help calm him so he can focus on the lesson/activity in front of him. Weighted blankets help with anxiety, stress, and can even help you fall asleep at night. I got mine HERE, and have a promo code for 15% off for my readers: SLAY15. Grab a tennis ball or a golf ball (depending on the size of your feet), place the ball on the floor, and roll your feet back and forth on the ball. This simple exercise is so easy, and really relaxing. When the sun is shining, go outside and soak up some sunshine (with some sunscreen, of course). Being outside is a great way to get some free Vitamin D while boosting your mood. If you have to work (like I do) try to arrange to have lunch outside, or grab your lap top and sit outside. Sometimes the best way to unwind after a long day is to put it all on paper. You can start a journal, or write down good things that have happened each day. Did you know that by just smelling coffee, you can kiss stress goodbye? 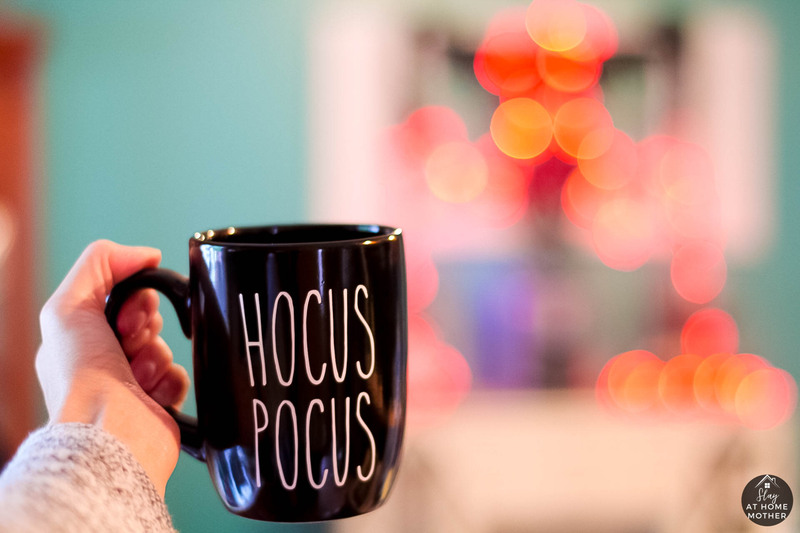 Pouring yourself a big cup of joe at the end of the day, or lighting some awesome coffee smelling candles can help you unwind after a long day. Talk your day through with your husband, a friend, your sister, or even your mom. Venting is a great way to relax, laugh, and get things off your chest. It will probably help you get a better nights rest, too! What do you do to unwind as a mom? Share with me in the comments below! Great post and I love the photos you took, they are co sure!! Coffee always works for me! I love that you’ve included it in the list! Even though I don’t have any kids, i love this list! No kids for me yet but I do have 5 nieces and nephews. Sharing this list with their overworked, tired mamas.